For more information about the 2.4 release and about previous released versions, please visit the App-V Scheduler website and read the latest release blogpost. You may have heard about the App-V 5 Scheduler project, if not you can read more on how everything started in this previous blogpost. 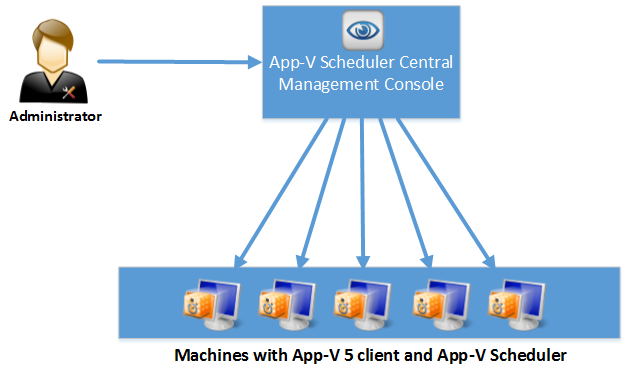 In short the vision of App-V Scheduler is to reduce complexity and make the deployment and management of App-V 5 packages in RDS & Citrix environments easy. No need for complex PowerShell scripts with limited functionality and visibility, also no need for full infrastructure components like App-V Management and Publishing servers or System Center Configuration Manager. 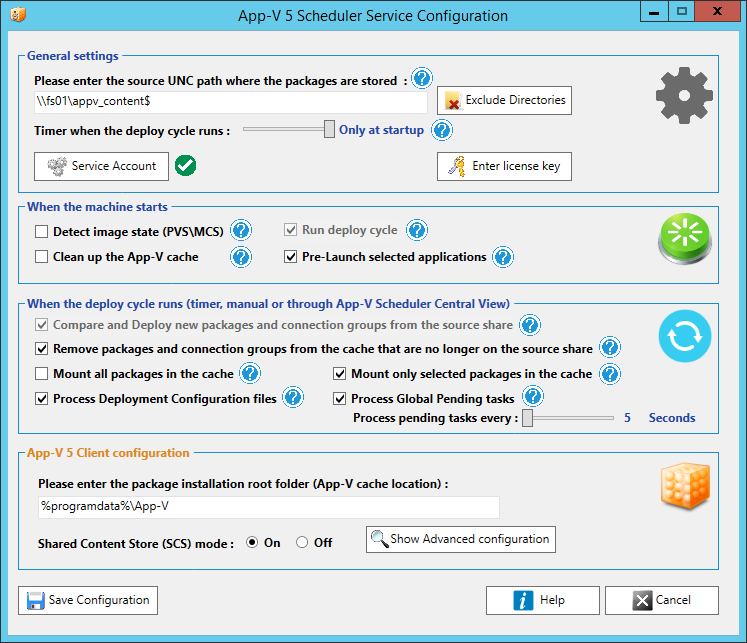 App-V Schedulers goal is to deploy App-V 5 packages on a machine level and manage them the same way we do with natively installed applications and this is where user environment tools like RES Workspace Manager comes to play. The power of such tools is that we can control application access and configuration from one single console, without having to configure application access and settings on multiple levels and in multiple consoles. 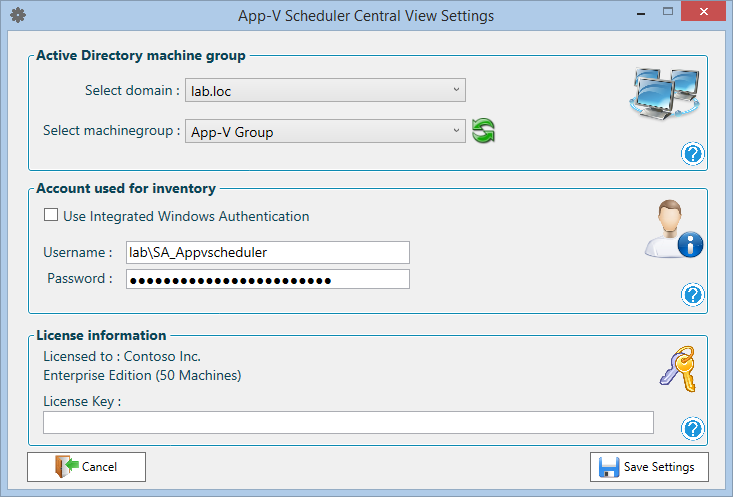 I will explain the powerful combination of App-V Scheduler and RES Workspace Manager later on in this blog post. 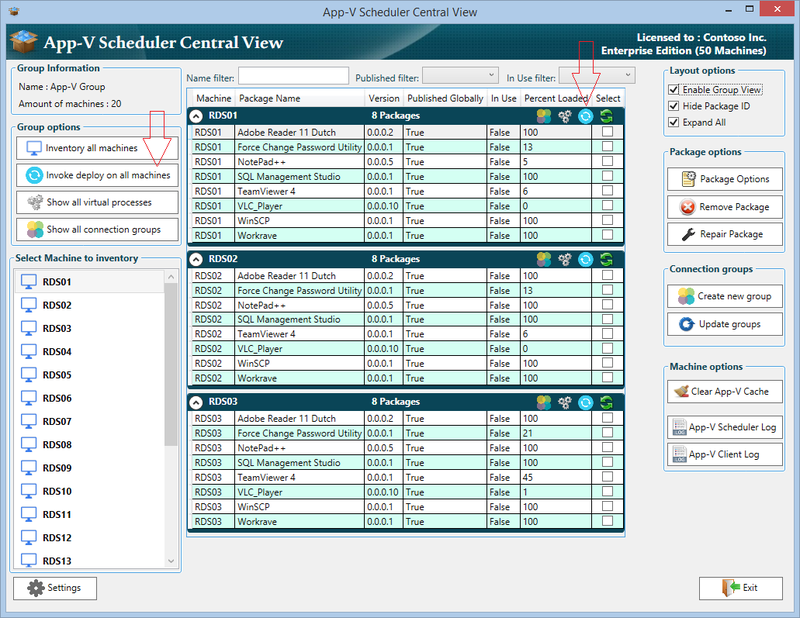 First let’s have a look at the new App-V Scheduler 2.0 version. 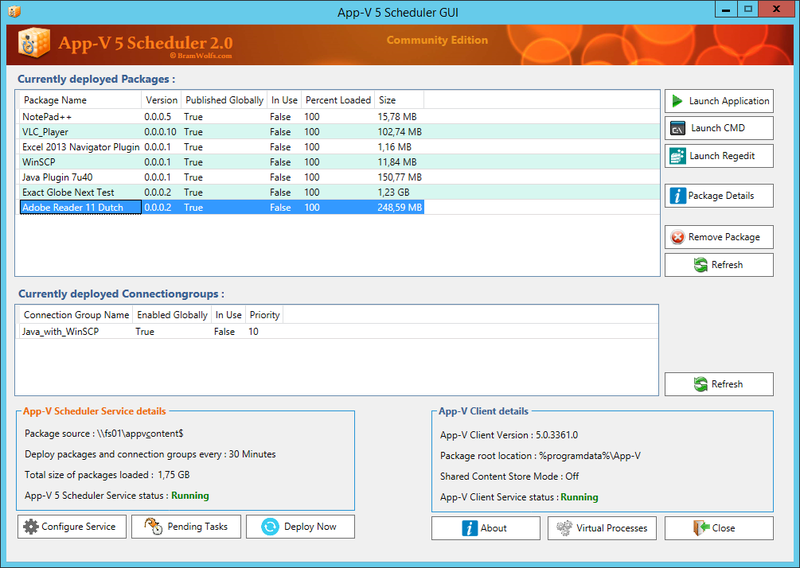 To start with App-V Scheduler is now available in 2 editions : Community and Enterprise edition. As you can see you have a very clear view on which packages and which versions are deployed on the machine, the package size is displayed in a readable format and on the bottom left you can see the total size of all packages currently loaded. When you select a package you can remove it manually, or launch CMD\Regedit inside the virtual environment for troubleshooting purposes. You can also directly launch the application from here to test its functionality. There is an administrator guide attached to the download which goes further into technical details, be sure to read it before installing. Quickly get an overview of all virtual processes on a machine, also native processes started inside a virtual environment are shown here. 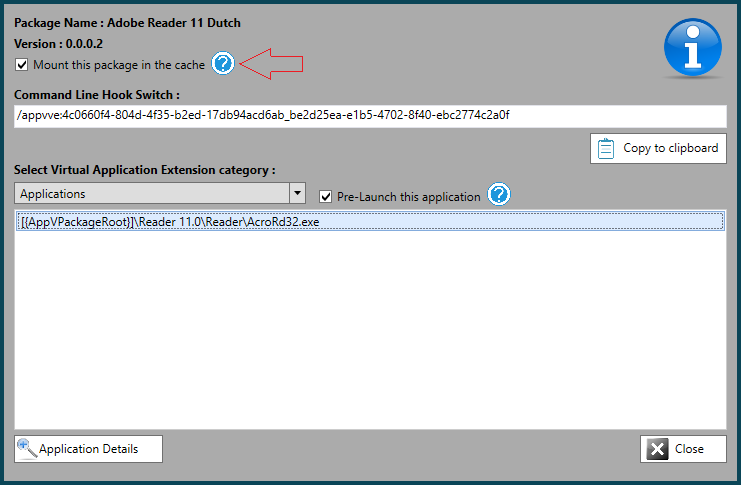 You can see which user(s) are associated with the virtual process and the path where the executable is started from. You can also end virtual processes from here. Virtual process overview is very handy in combination with pending tasks, it allows you to easily see which users\processes keeps the package in use. 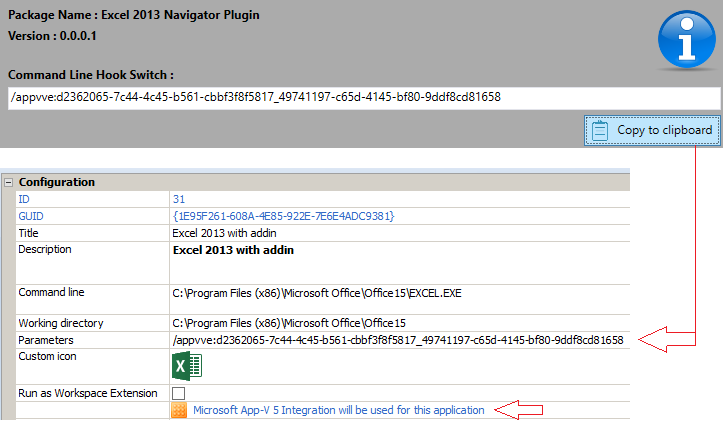 Package details gives you a clear view on which extension points are registered for a given package. The output is filtered so you will only see the information that is applicable to the selected package. With the blink of an eye you can see which shortcuts, file type associations, services, ActiveX and other com objects are registered in a readable and understandable format. 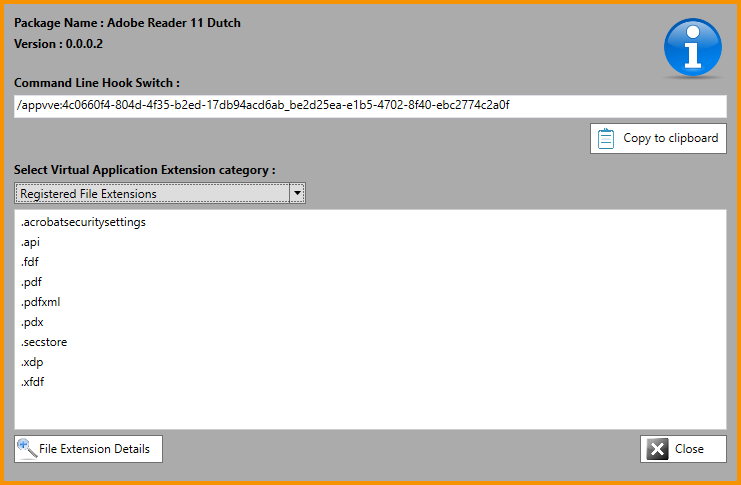 Also extension points like browser plugins and shell extensions are shown here. App-V 5 comes with a lot more extension points than its predecessor, its important to know how a package is integrated in the OS to understand the behaviour of the application. The auto generated commandline hook switch can be used as a parameter for native processes to launch them inside the virtual environment of the package, think of Excel addins etc. 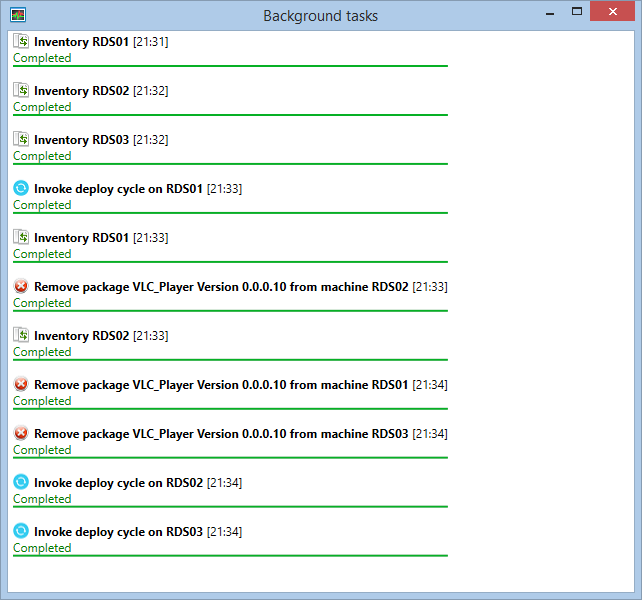 In the RES Workspace Manager part I will give you an example on how to configure this. 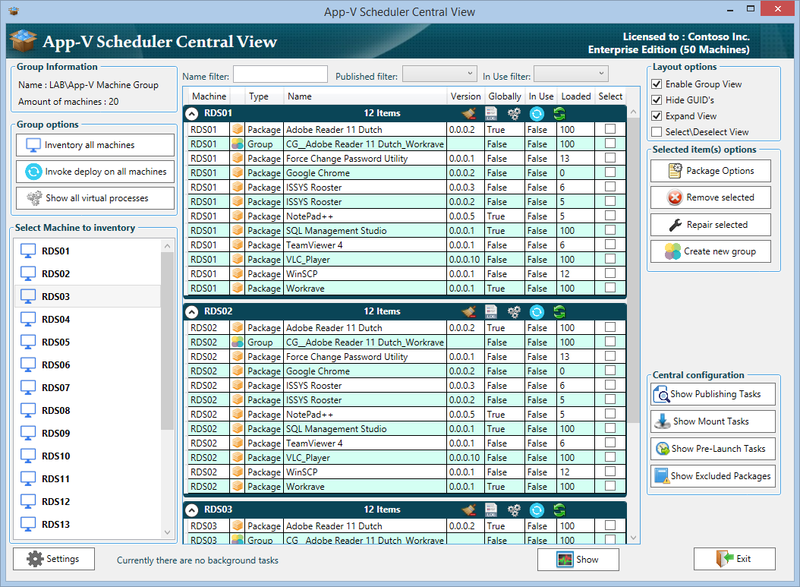 Part of Enterprise edition is also a lightweight (portable) central management console called Central View where you can centrally manage packages on multiple machines. For example you can see which packages are currently deployed and in use, you can also update packages by invoking a remote deploy process and view pending tasks remotely. The central management console will form a great combination together with App-V Scheduler but can also be used without it, for example if you decide to deploy packages in another way. Part of Enterprise licensing is free support and upgrades to the latest versions for the first year, the subscription can be renewed on an annual basis for a fraction of the price. 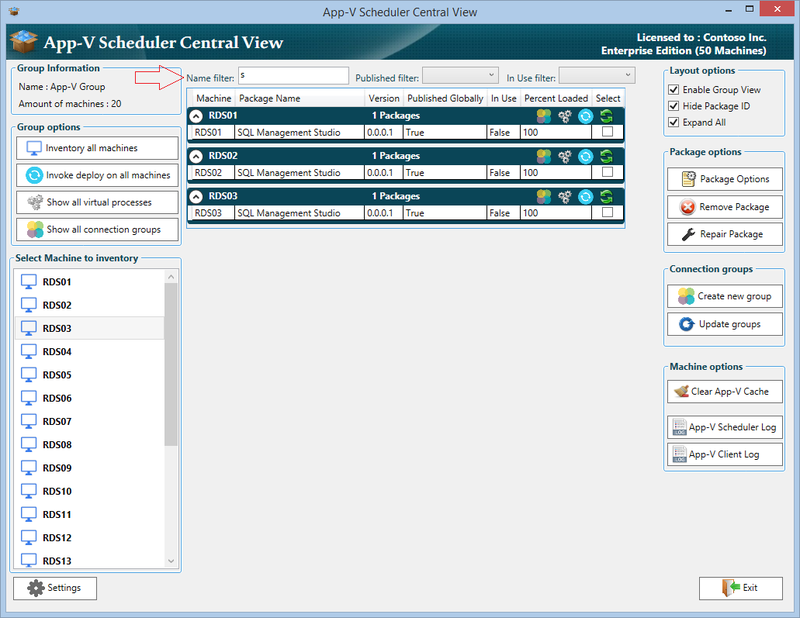 App-V Scheduler is being actively developed and new features are added frequently. 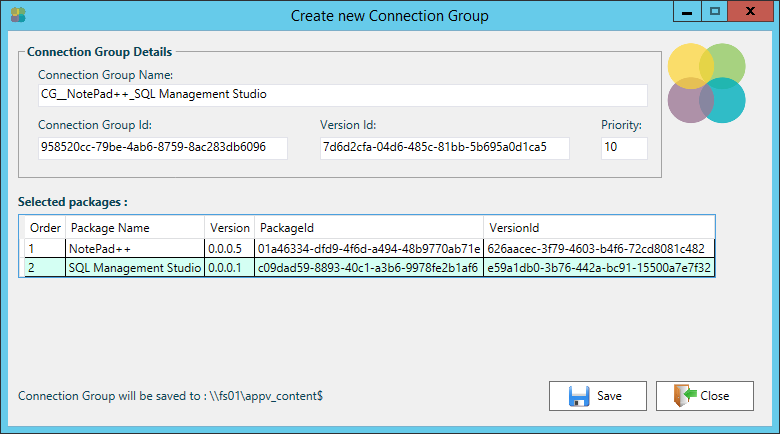 Compatibility with future App-V 5 releases and service packs will also be assured. 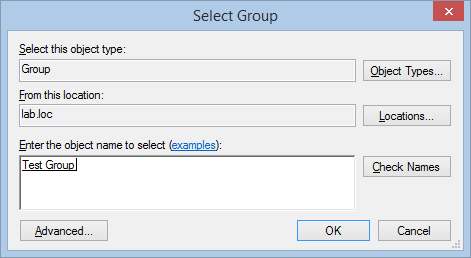 Finally configure access to a select group of people and that’s it. 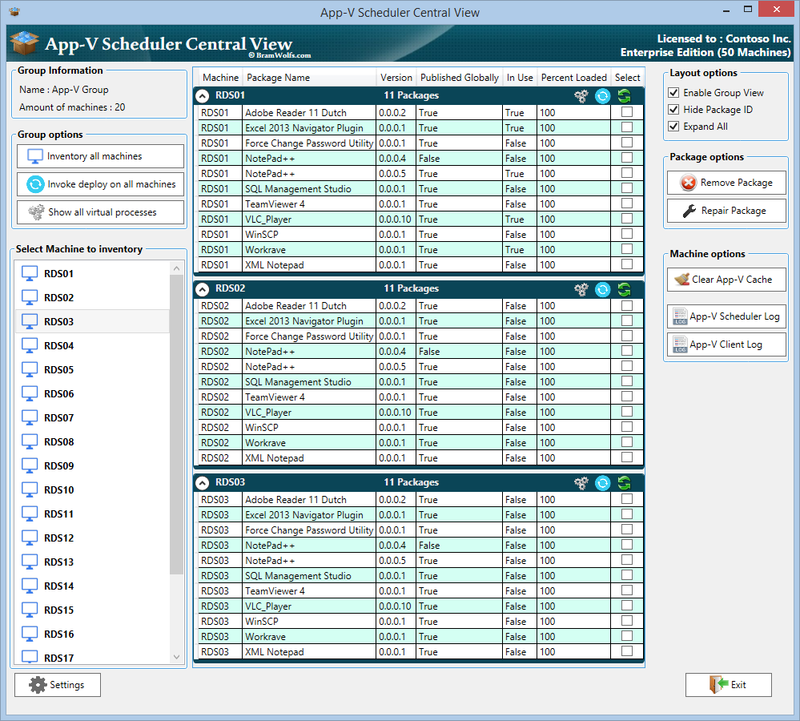 You can open the virtual process overview to check if Excel runs virtualized. 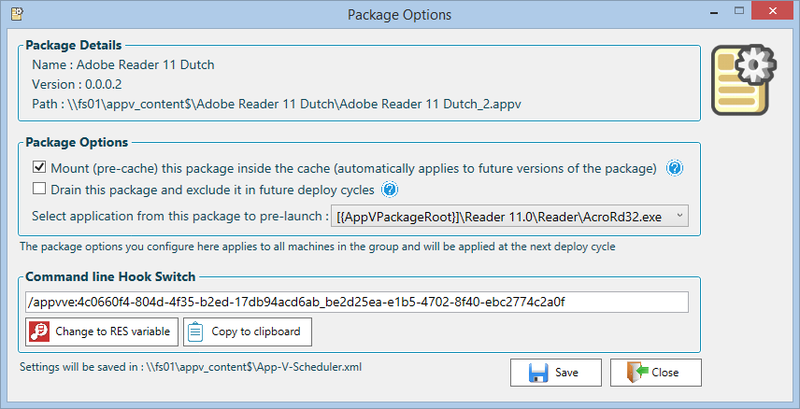 App-V 5 Scheduler, in combination with an User Environment Management tool like RES Workspace Manager, is a powerful and simple way to deliver packages to your machines without the need for a full App-V 5 infrastructure model or complex scripting. 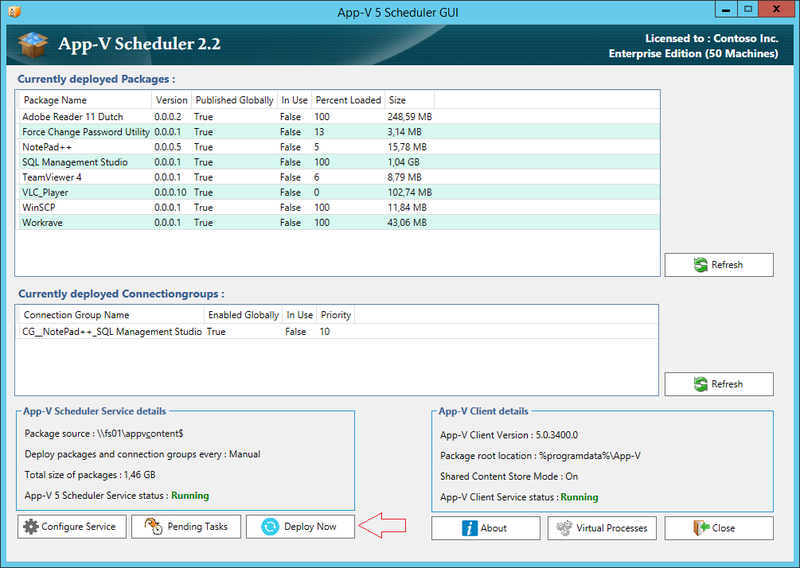 Just place the package on a share and App-V 5 Scheduler will do the rest for you. Community edition already gives you a good starting point to simplify the App-V 5 deployment in your environment, Enterprise edition features will make the management of App-V 5 packages a breeze and there are more features to come. How to get Enterprise Edition ? Thank you! It would be great if you consider to upgrade to Enterprise edition, besides the additional features, this will also support the further development of App-V Scheduler. 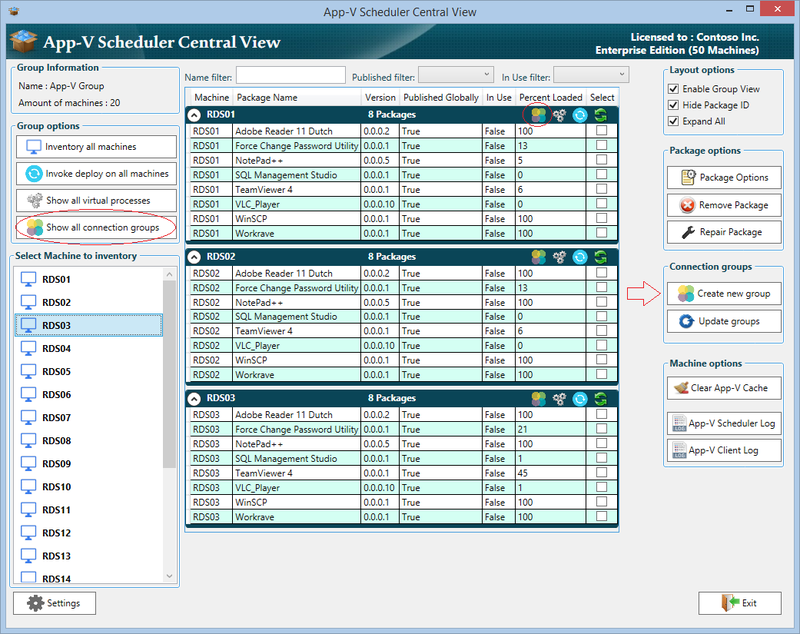 Please visit the App-V Scheduler 2.1 release blog post for the availability and more information about the new version.